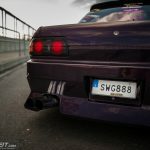 When Nissan introduced the new Skyline generation R32 in 1989 it was quite a radical step from the extremely boxy predecessor R31. 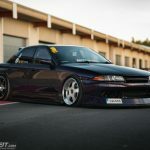 And while most people lust after the R32 in 2-door shape or even as a GTR, there’s a lot of love for the sedan R32 as well. Such is the case with this purple example from the depths of Sweden. 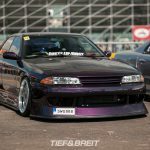 I first stumbled upon this Skyline sedan when I attended Gatebil Mantorp in June but sadly I didn’t have the opportunity for a closer look and only took a couple pictures. Thanks to the wonders of social media I got into contact with the owner Jonatan from Dress Up Kings. 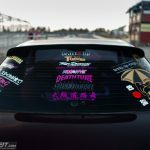 Thus, I got the chance to shoot the car just two weeks later when I went up to Norway for Gatebil Rudskogen, Gatebil’s main event! 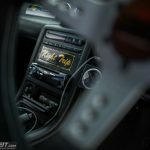 I was absolutely excited for this opportunity – it meant I could get to shoot a car that is quite authentic to the japanese drift style in the magical setting of the beautiful Rudskogen race track. Even though Jonatan didn’t hit the track with the car, it looked right at home in Rudskogen’s pit lane. 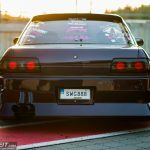 This Skyline was produced in 1992 and then was imported from Japan in 2014. 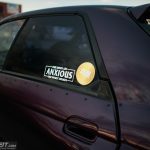 Jonatan has owned it for just a bit longer than a year now – and he also freely admits that most of the modifications have been carried out by the previous owner. For the exterior the previous owner opted for a full BN Sports bodykit including overfenders and a GTR hood and grille. 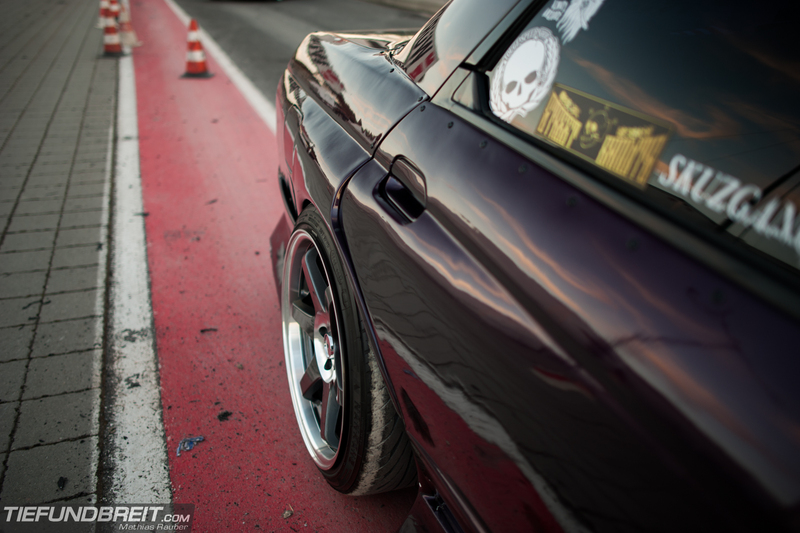 Jonatan owns a couple sets of wheels. 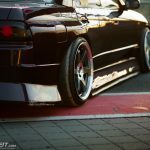 The ones mounted on the car during the shoot are Fabulous Profound in the front and the rears are Jspec No7 wheels. 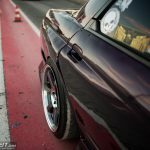 The wheels are connected to the Body by a set of Gsport coilovers which help the car duck pretty low over the ground. 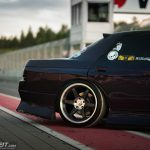 Almost all the suspension parts were swapped for after market units by Driftworks and Japspeed. 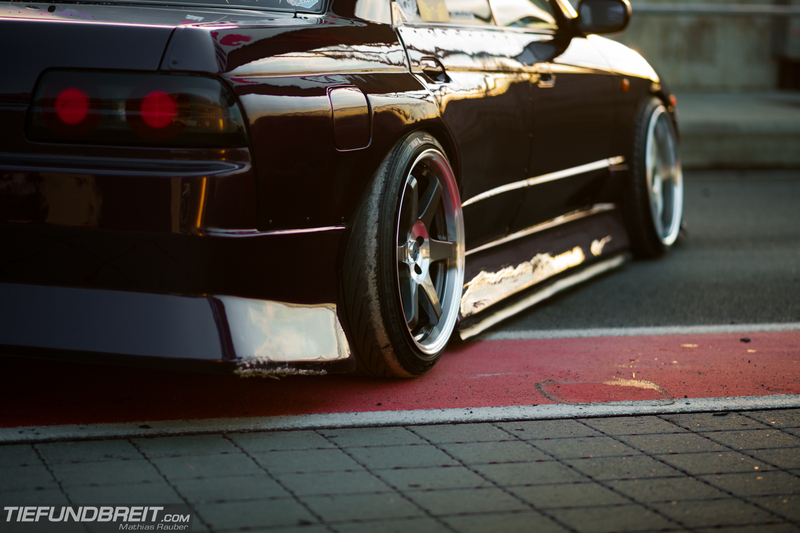 For example, Driftworks Geomaster knuckles and widened lower control arms up front. Rear Japspeed toe arms and so on..
A 2-way differential also helps when Jonatan is in the mood to kick the rear end out. 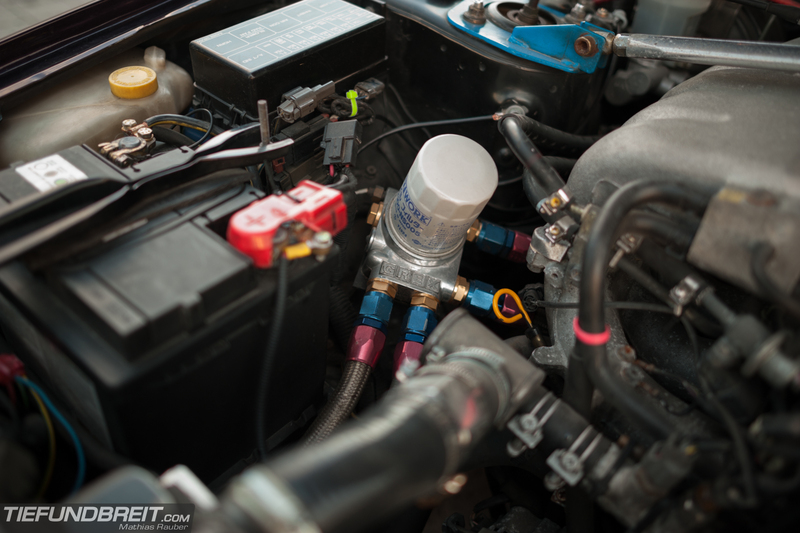 The RB20DET only received some slight work: a Trust Greddy Intercooler and a Blitz boost Controller. 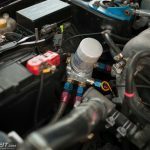 A Grex oil filter relocation kit by Greddy and a matching oil cooler keep temperatures low. For good measure he also installed a Koyo Radiator with two electrical fans. 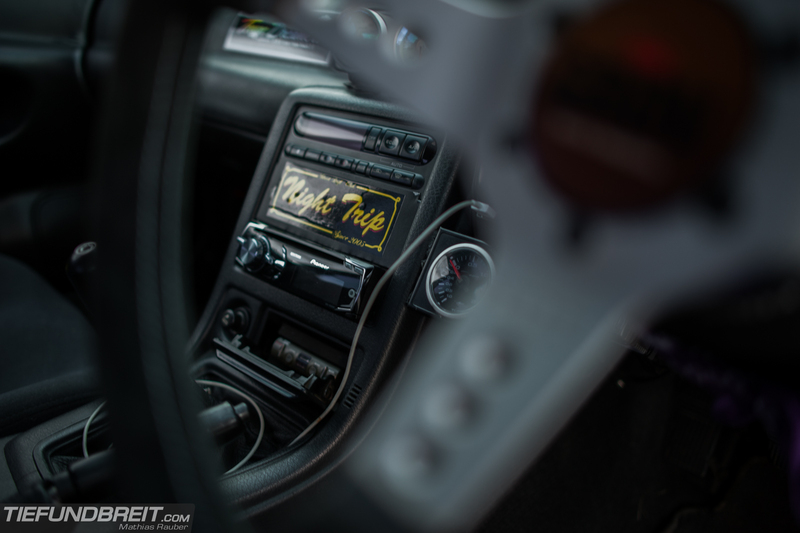 Inside, some gauges for boost pressure, oil- & water temperature and a full control control unit were added so Jonatan is always informed of what’s happening under the hood. 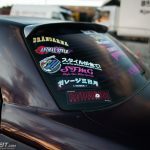 One of my favorite things about the car however is Jonatan’s collection of authenthic Japanese (or at least Japanese-styled) stickers. It just adds that last bit to make the car look like it came straight from a drift session on Japan’s touge. 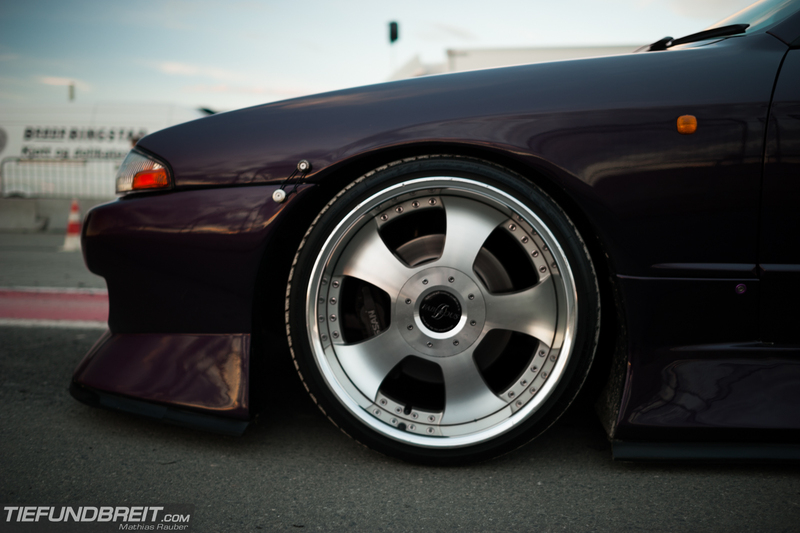 Honestly, Jonatan’s R32 left an impression on me! It’s a stunning car and he’s lucky to call it his own. Enjoy the rest of the pictures in the full gallery below and stay tuned!